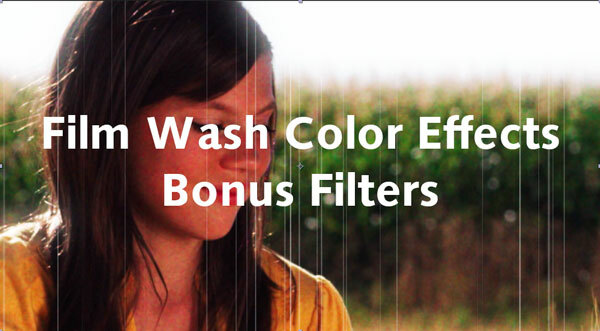 Applying the filters in the Extras folder in selected Film Wash for After Effects collections. Add a New Solid and set it to 50% gray. Tweak the layer’s opacity and Grain Amount controls to get the desired effect. Add a new Adjustment Layer and double-click FW-Film Flicker. Adjust the Flicker Controls in the Effect Controls window. Note: On earlier versions of After Effects, you may see an error window appear. Hit OK. This will *not* affect the operation of this filter. Add a new Adjustment Layer and double-click FW-Filmy Grain. Adjust the controls in the Effects Controls window. Add a new Black Solid and double-click FW-Scratches. Set the layer Blend Mode to Screen.